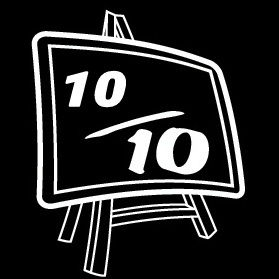 Where we interview the stars, write about comics, TV, movies, books, music, games and anything fandom related. 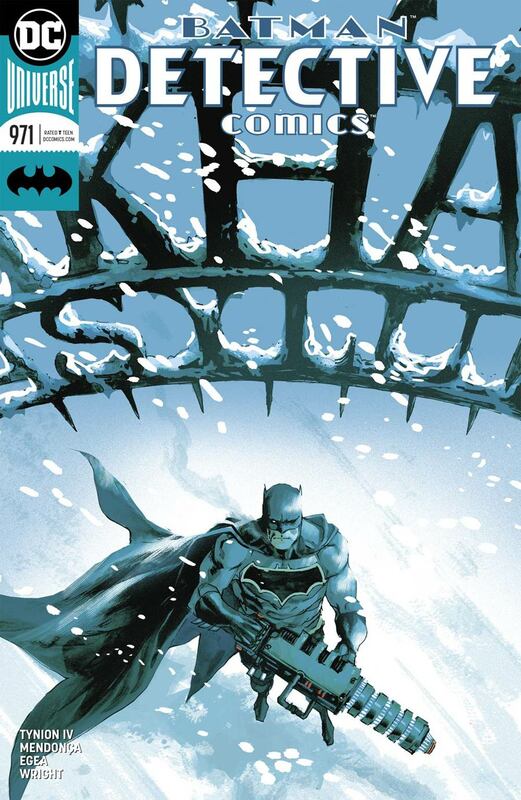 Things are looking bleak for Batman and the Gotham Knights. Mayor Akins has withdrawn support for our heroes, and imposed sanctions on Jim Gordon helping them. 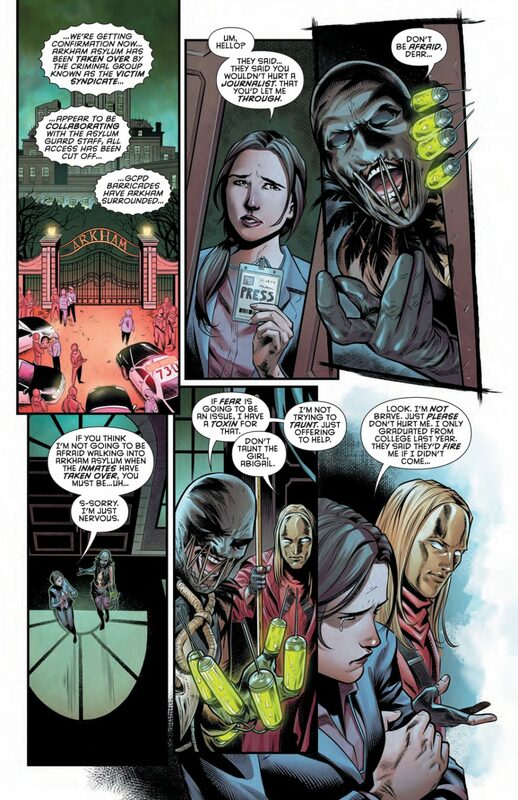 Killer Moth is gathering an army of villains to fight them, and the Victim Syndicate have Clayface under lockdown. 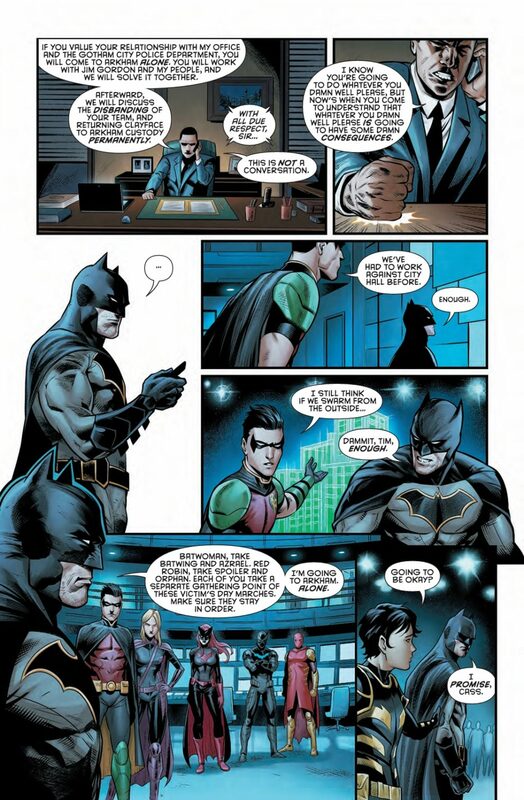 By the end of this issue we see dissent within Batman’s own ranks, and one of the team finally turning on their own. The Fall Of The Batmen has well and truly begun! This issue is top notch from cover to cover. We get to see the Dark Knight at his awesome fighting best, and both dialogue and action are consistently excellent. James Tynion IV weaves a hell of a tale, and keeps the tension levels high. Every nerve is on edge, and by the final shocking page we know that the Knights are in real trouble. 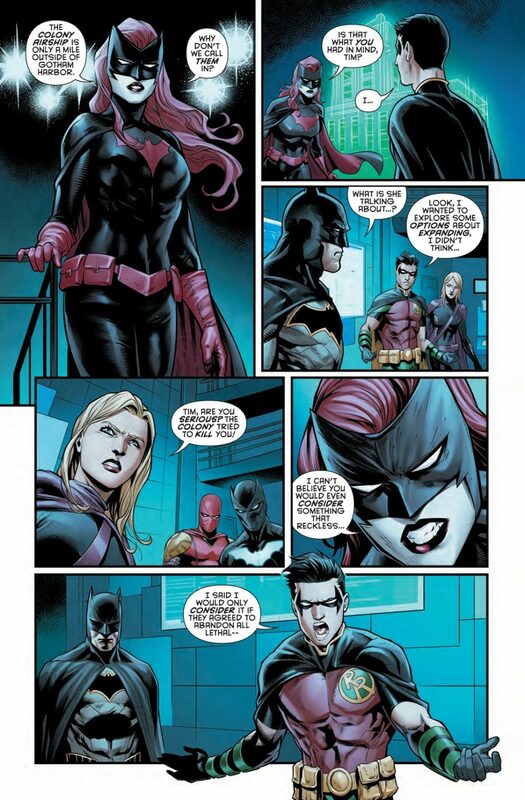 A particular bone of contention is the now strained relationship between Red Robin and Batwoman, after the events of the incredible “A Lonely Place Of Living”. 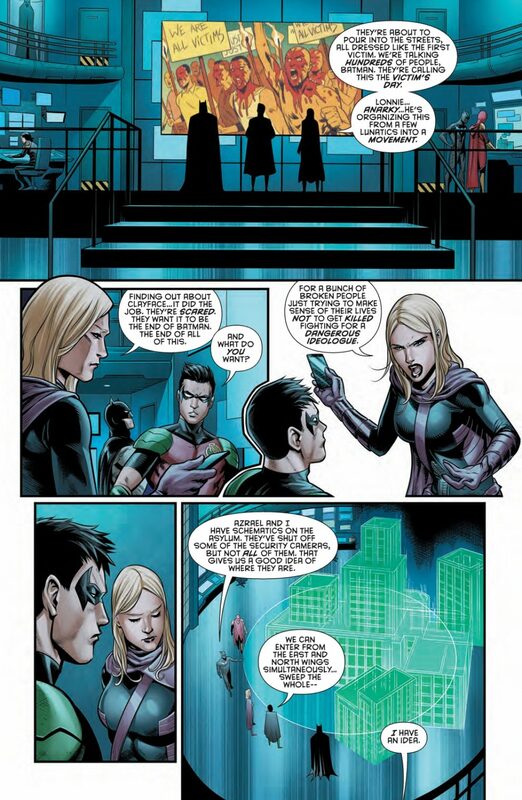 Could Tim Drake actually be aligning himself with The Colony? This group of mercenaries, led by Kate’s own father, have been a thorn in Batman’s side since the dawn of the DC Rebirth. This issue delivers, not only with great writing (no surprise), but the art is phenomenal too. The team of Miguel Mendonca and Diana Egea continue to provide the level of excellence that makes this series stand up against anything else on the shelves. Their storytelling is crisp, fluid, and fits in perfectly with that of all the excellent art teams that have preceded them. Their version of Batman, especially in the terrific fight scenes against the Syndicate, are absolutely first rate. Jason Wright’s color art is brilliant, and the way he lights each page is great. Seeing Clayface trapped behind the reinforced glass of his cell is powerful indeed. The expression on his face, as drawn by Mendonca and Egea, coupled with the sheen and color applied to the glass by Mr. Wright is masterfully handled. As always Sal Cipriano’s letters help the story flow, and do not detract from the sublime visuals in any way. His red on black speech for the First Victim add to the feel of the character’s evil, and enhance his threat level accordingly. I really felt tense, and nervous reading this chapter. My unease at the slow spreading of the cracks that have been within the team grew page by page. Every character is so well written and drawn, that I feel like my own family is slowly crumbling around me. 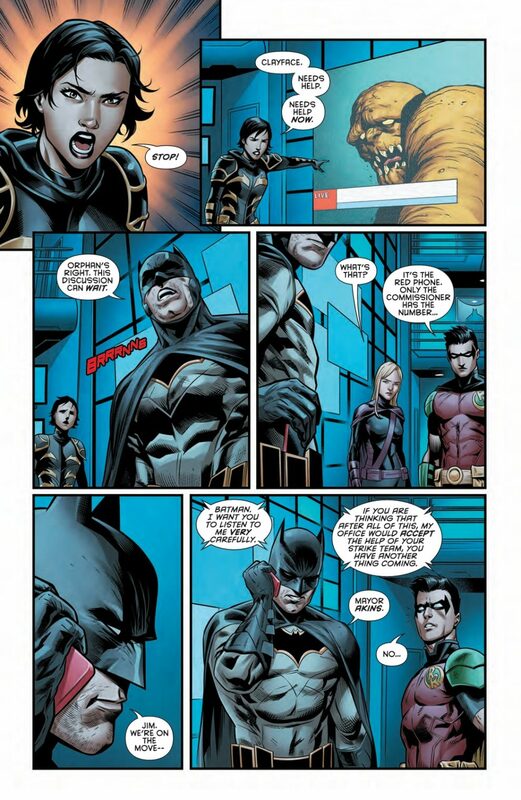 Detective Comics is delivering on every level, and I’m loving every minute. 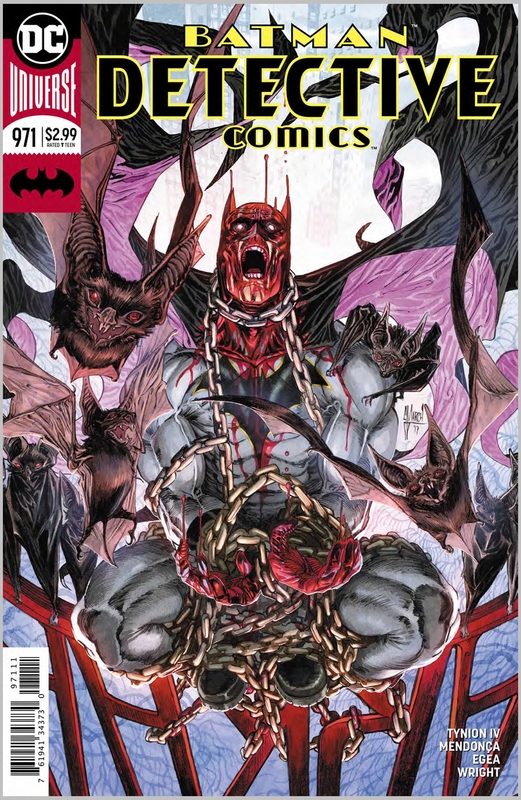 I eagerly await the next issue, and can’t wait to see how Batman gets out of this one! Images Courtesy Of DC Entertainment. 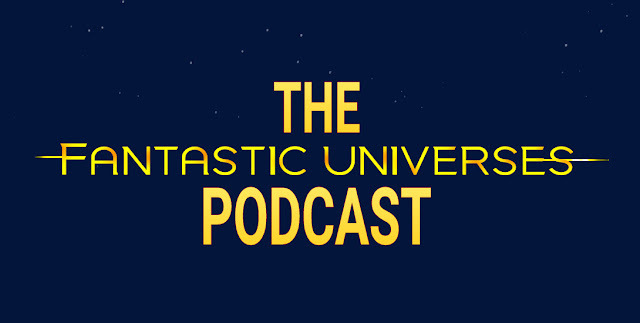 The Fantastic Universes podcast is now live, and ready to invade your ears! Episode 1 is hosted by Steve, James and Max and can be found at the links below. We talk about what we have been watching and reading recently including The Walking Dead, Into The Badlands, Wasted Space and more. Our Fantastic Feature this month focuses on Batman, as we celebrate his 80th anniversary. We also talk about our highlights from TV, Film, Comics and more. 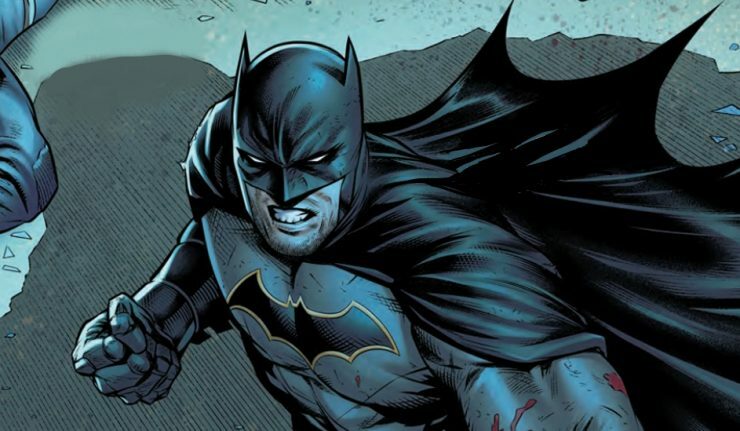 Our good friends at Comic-Biz.com have sponsored this episode and are giving one lucky listener the chance to win a copy of Detective Comics #1000 with the Jock Variant cover. For full details on this head to our Twitter page and follow the instructions on our pinned Tweet. It's very rare that the worlds of geeks and music collide in a powerful way, but Professor Elemental has made that happen. 'School of Whimsy' sees Brighton's finest export solidify his career with his strongest album to date. Over a ten year journey Paul Alborough has helped create the phenomenon of Chap-Hop, a mix of hip hop and a tongue-in-cheek take on English gentry. 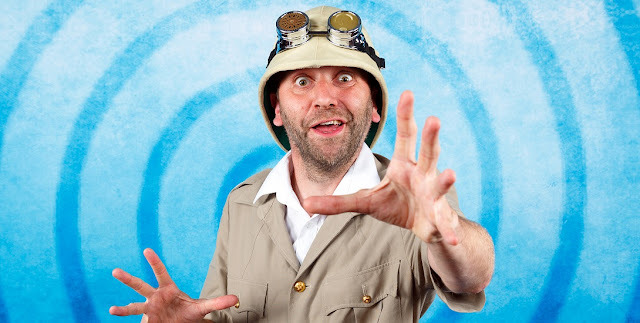 The character of Professor Elemental has allowed Paul to push the boundaries of his music, as well as allowing him to show the world his love of anything nerdy. His songs are littered with references to superheroes and comics, and have a huge underlying message of positivity. I make it no secret, readers, that I love two games more than the air I breathe. 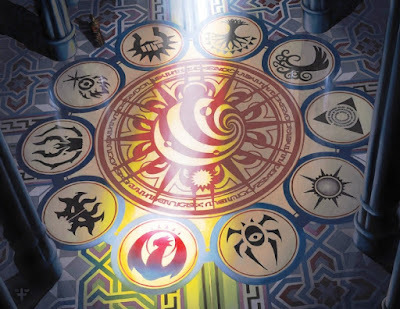 Dungeons and Dragons, and Magic: the Gathering. Despite being made by the same publishing company, Wizards of the Coast, they've made almost no crossed streams. The talk of Wizards wanting to publish a new setting for their supplemental campaigns left many wondering where we can go. This is no mere Plane Shift - like those of Zendikar or Kaladesh, leaving us with races and statistics, and prompts on where to go. This is a full, world guide. And it's RAVNICA! Next to nothing is known about this supplement. It appeared on Brazilian Amazon then later on an American version of the site. The product description features very accurate portrait of the Acumenopolis in the heart of every Magic player. All we can do is speculate.